You have decided to quit smoking. You know the reasons you shouldn’t smoke, which include dying from lung cancer, heart attack or other diseases caused by smoking. You are ready to stop smoking and you have pictures of tar-coated lungs up at your house, but you should also look at the positive parts of quitting smoking. How will quit smoking help you, apart from not causing you to die of lung cancer. 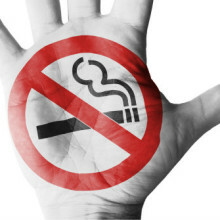 • Quitting smoking, no matter your age, will help you live longer. In a study it was found that people who quit smoking before the age of 50 were able to cut their risk of dying in the next 15 years by 50 per cent. • People who have quit smoking enjoy a higher quality of life than those who do smoke. • Those who quit smoking have fewer illnesses, including the flu, as well as lower rates of other lung conditions like bronchitis. They also feel much healthier than people who smoke. 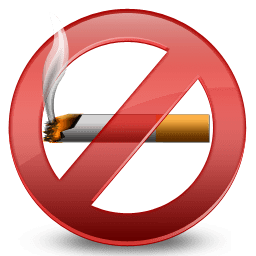 • The Surgeon General of the United States has concluded that quitting smoking has immediate health benefits for both men and women, no matter the age. • Those who do not smoke live longer on average than those who do smoke. Men live as much as 15 years longer, and women live as long as 13 years extra after they quit smoking. • Women who quit smoking within the first three to four months of a pregnancy significantly lower the chances of having a low birth-weight baby, compared to women who never smoked. • When you quit smoking, the chances are you are going to gain some weight, as much as 10 pounds. The health consequences of that extra 10 pounds is much less severe than the health consequences of not quitting smoking. What is the most important way that quitting smoking helps you? Put simply, it just makes you healthier and gives you more time on this Earth with the ones that you love. You will be able to spend time with them and all it takes is quitting smoking. Yes, quitting smoking is hard and you are going to feel awful while you go through withdrawal but that will pass and eventually, you will feel better than you ever have. Everything will taste, smell and feel better. Your body will recover and you will be able to go on living your life, free of the dangers of tar and nicotine in your body. Quitting smoking is honestly one of the best things you can possibly do for yourself, so don’t delay, do it today.